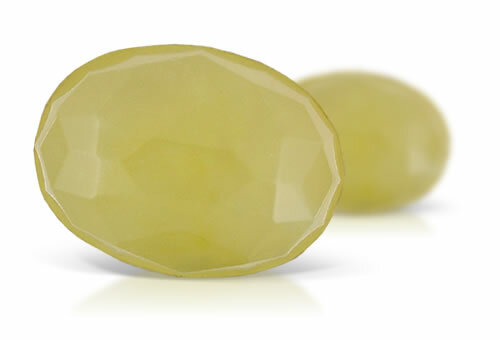 One of the most common serpentine varieties in the gem trade is bowenite, one of the hardest of the serpentine minerals. It is a massive variety of antigorite that ranges from blue-green to green and green to yellow. It is translucent to semi-translucent, and has been used in various types of jewelry, as well as in decorative and ornamental applications. Bowenite might show greenish sparkiing chlorite inclusions and often shows scratches and poor polish due to low mohs hardness.